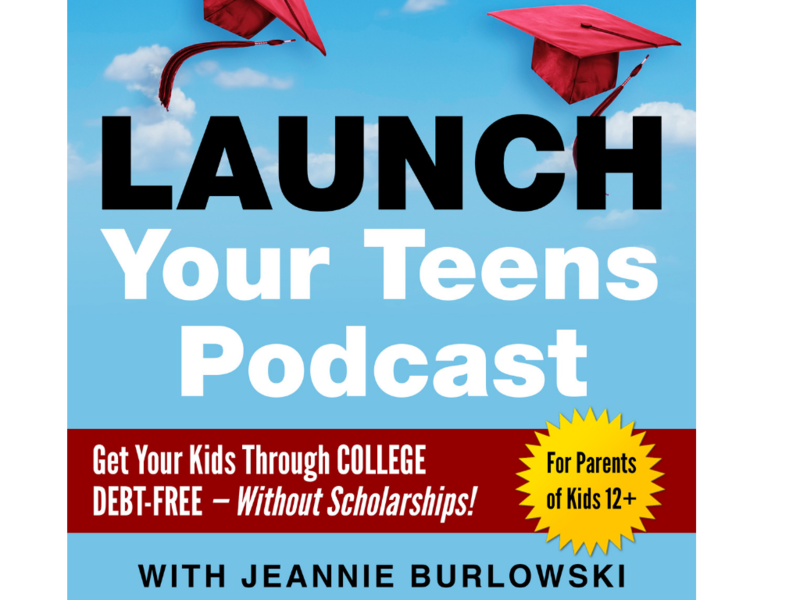 Welcome to the Launch Your Teens Podcast, where we help parents of kids ages 12–26 set their kids up to graduate college completely debt-free, ready to jump directly into careers they excel at and love—even if they don’t get a single scholarship. If you’re new here, be sure to listen to Episode 1 first. It’s inspiring, and it gives you everything you need to get the most out of all the other episodes. Click below to get a description, links, and show notes for each episode. Episode 2 — (9 min) Elite Education Leads to a Happier Life. True or False? What is the Launch Your Teens podcast? At Launch Your Teens, parents of kids ages 12–26 learn how to set their kids up to graduate college completely debt-free, ready to jump directly into careers they excel at and love—even if they don’t get a single scholarship. If you’re new to Launch Your Teens, be sure to listen to all of episode 1 as soon as you can. It’s just 23 minutes long, and it gives you all the most important foundation you need for this journey. Jeannie is a full-time academic strategist, speaker, and podcast host, and she is the author of the book LAUNCH: How to Get Your Kids Through College Debt-Free and Into Jobs They Love Afterward. Her speaking, podcasting, and writing help parents set their kids up to graduate college debt-free and move directly into careers they excel at and love. Her work has been featured in publications such as The Huffington Post, USA Today, NerdWallet, and US News and World Report, and on CBS News. Jeannie also helps students apply to law, medical, business, and grad school at her website GetIntoMedicalSchool.com. You can follow her on Twitter @JBurlowski.